Discovering art. Building community. How one woman’s dream of an arts center for all took flight. This is Blackbird Arts. This article is featured in the December 2017 issue of Traverse, Northern Michigan’s Magazine. Get your copy! There are dozens more people like this making art at Blackbird Arts community art center. They make art, don’t feel right embracing the title “artist,” and yet they love the discovery that they can, in fact, make art. The mastermind behind this place of alchemy that conjures art from non-artists is Melissa Johnson, who founded Blackbird Arts five years ago. “When I look at the original business plan, I almost laugh,” she says. “It’s so removed from what we are now.” That original plan imagined a place where young children could learn music—that was the entirety. 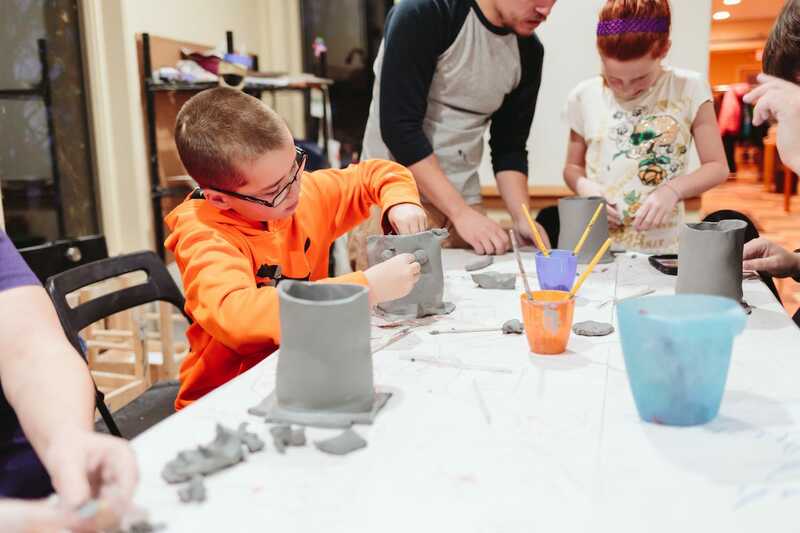 Today, there’s barely any music, and instead Blackbird offers classes in ceramics, screen-printing, jewelry, letterpress printing and more, for ages preschool to as old as can be. In addition, Melissa and her team export the programming to schools and community settings, likewise conjuring art from people in places like a school in Wellston, an hour away in the Huron-Manistee National Forest. Johnson did not start out as an arts educator. She earned a master’s degree in anthropology and worked in archaeology a dozen years before joining the team at Chicago’s Field Museum. “I’d go into the collection and then work with the curators to design an exhibit,” she says. But when she agreed to help a friend in her public school classroom one day, she fell in love with teaching, earned a master’s in education, and hired on as a teacher in the Chicago schools. Three years in, she was feeling burned out. “I got so attached to the kids, and when bad things happened, the emotional burden was really, really difficult for me,” she says. About the same time, her mother passed away and she decided to move with her husband and child back to Traverse City to be near her father. Up North, she substitute taught, did miscellaneous jobs, but after a period when a few people in her world passed away too young … “they were not done,” she says, “I became more afraid of not trying something and living with that, than trying it and falling flat on my face.” Besides, she desperately missed teaching. Working with SCORE volunteers, Johnson developed that business plan for the music school and, true to good entrepreneurs, quickly moved beyond it as needed. For the first three years, Johnson ran Blackbird Arts as a for-profit venture, and then switched to nonprofit two years ago. A big motivation for the switch was she wanted to do more outreach to groups like small rural schools or Disability Network or LGBTQ youth, and those groups often had no money to support the classes, so grants were necessary. 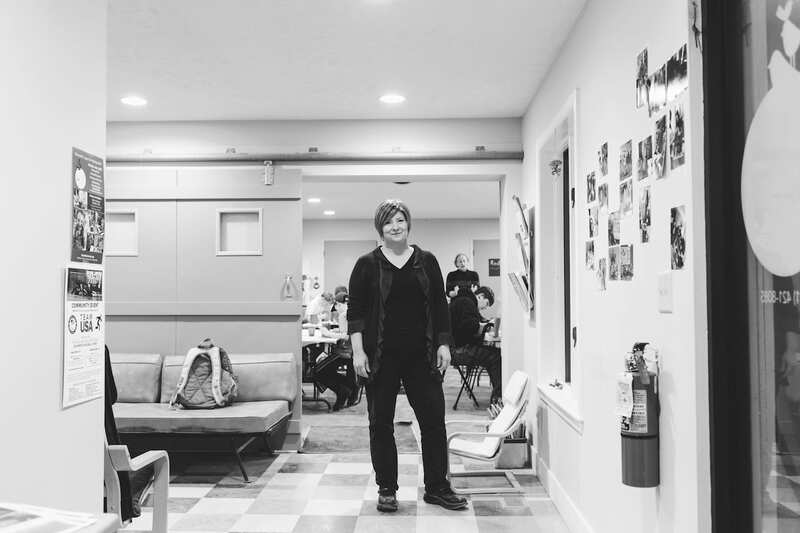 You could almost say calling Blackbird Arts an art center doesn’t capture the all of it, because really it’s a community, and the expression of that community is art, and that was Johnson’s plan. “I really wanted to create a hub of community support, a feeling of belonging and connecting where kids felt supported. I never expected it to have that impact with adults, but I see it daily,” Johnson says. 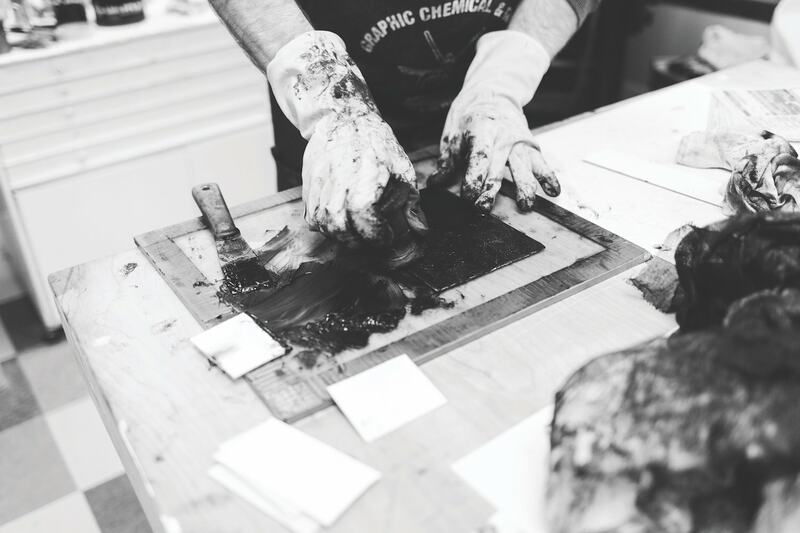 CLAY MAAS was an artist looking for a home when he discovered Blackbird after having recently moved to Traverse City. He began the relationship by offering to do volunteer work in exchange for studio time. He swept up. Washed things. Moved stuff that needed moving. 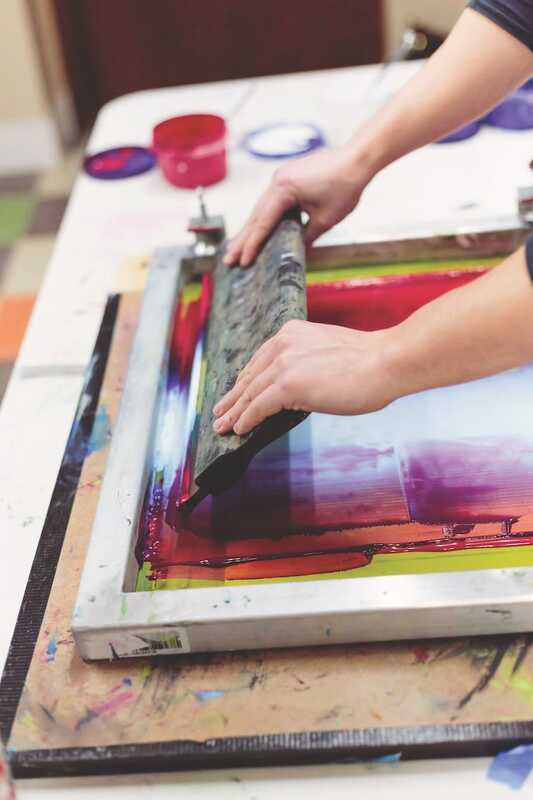 And used his studio time to do screenprinting, letterpress and ceramics. Clay had been prepared to have a studio of his own, in his house. But the sense of community at Blackbird captivated him. “Here, I can have people looking at my art, giving me feedback, telling me what they think. That’s what I get from Blackbird, I’m pushed to do better,” he says. He thinks that’s why so many people come to Blackbird every day, if they have a class or not. They just enjoy sharing their art and opinions and different and exciting ideas, and it propels them along a path they love. 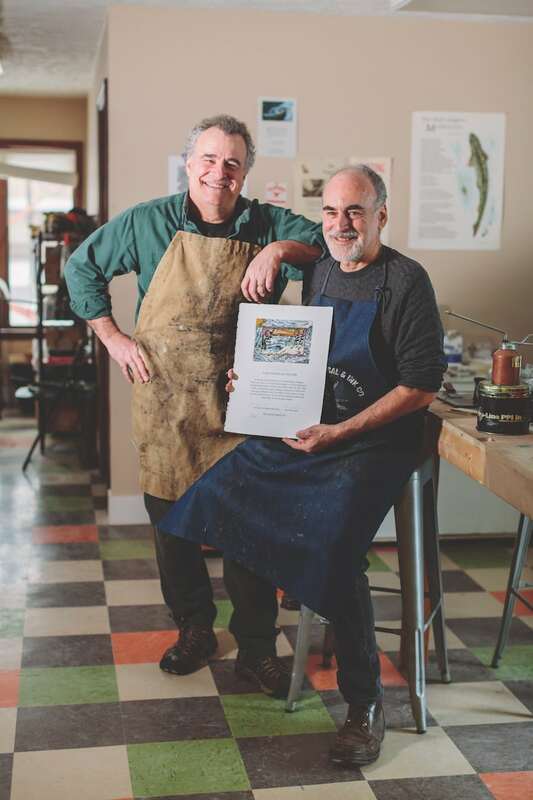 Painter and illustrator GLENN WOLFF and author JERRY DENNIS are among Northern Michigan’s most admired collaboration teams and have produced several award-winning books together since the mid-’80s. But when they signed up for a letterpress class at Blackbird Arts, they were excited by the idea of being novices learning the art form. A bonus was learning from the person who had printed some of the duo’s work, Chad Pastotnik, a nationally renowned letterpress artist who had donated equipment to Blackbird and offered to teach. Dennis and Wolff intended to make broadsides—a single sheet of paper with a brief bit of writing by Dennis and an image by Wolff. 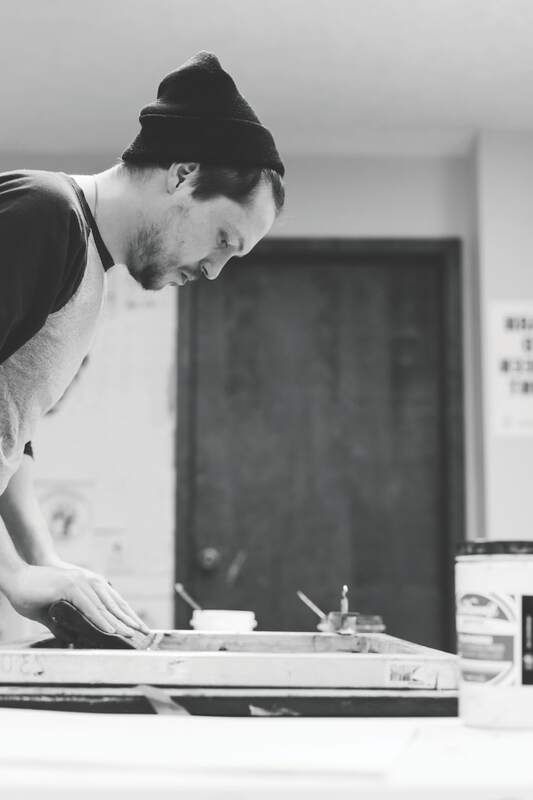 Watch this MyNorth video for a letterpress demonstration with Chad Pastotnik! One project that means a lot to her, a teapot she made with her grandpa in a teapot workshop. They built it out of slabs and pressed diamond shapes into the surface for texture on the entire outer surface. Next they applied an orange under-glaze, then wiped it off so the color remained in the cracks, and finally coated it with a clear glaze. “It’s very interesting and nuanced. I think my favorite part is the texture,” she says. 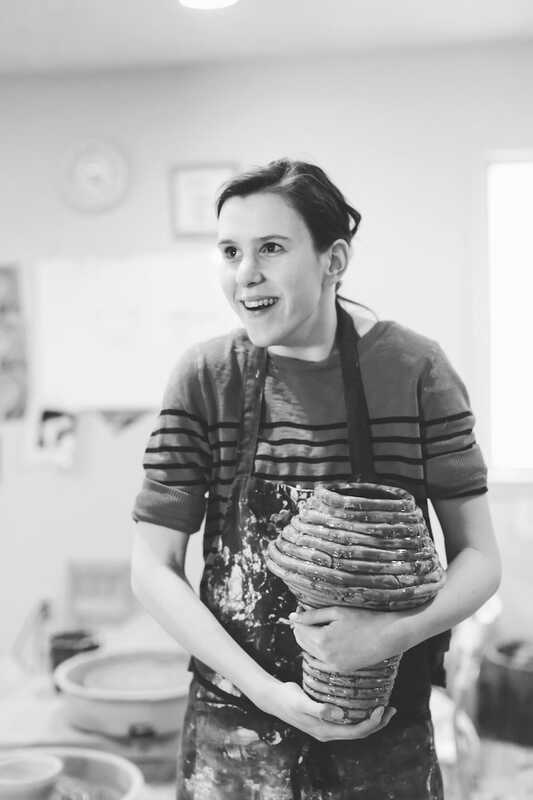 A sense of community and support have been key to drawing Ellie back to Blackbird. “If you need help, somebody is there to help you. If you have a question, they’ll answer it. If you want to try a new thing, they will support you, even if your project is warped and ugly!” she says. Ellie is a freshman at Michigan State University, majoring in arts and humanities. 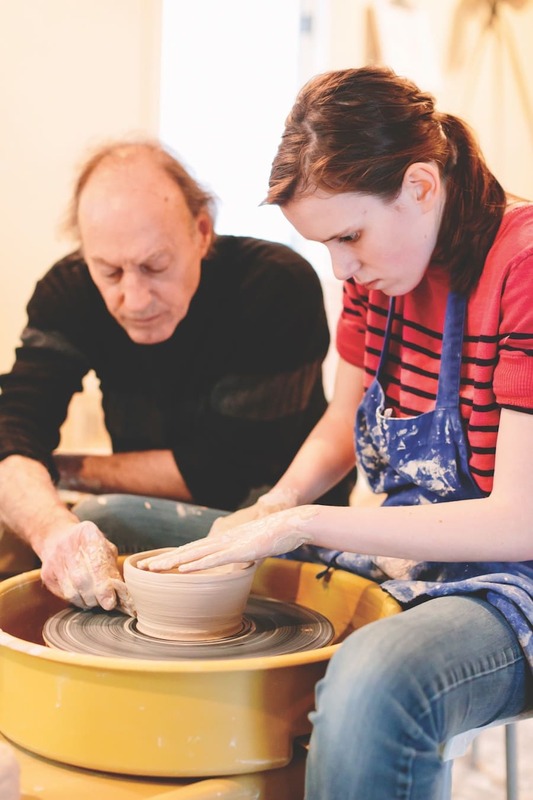 She has pursued ceramics as a hobby despite being nearly totally blind. Courtney Kent is one half of The Compass Points Here, a photography and videography company based in Traverse City. thecompasspointshere.com.